Cartrefle is located on the outskirts of the picturesque market town of Llanrwst, which is nestling at the foot of the Snowdonia mountain range. It is within walking distance to all local amenities such as shops, library, post office, churches and leisure centre. Originally built as a family home at the turn of the 20th century, Cartrefle was extended in 1985 with the intention of opening it as a residential home. Cartrefle went on to gain the reputation of being a small but friendly local home renowned for its award-winning home cooking. Cartrefle is run as an EMI residential home offering care in both English and Welsh to meet our resident’s needs. The home is an attractive two storey building made of local stone and offers 25beds with 21 single bedrooms and 2 double bedrooms. All bedrooms have washing facilities with 4 single bedrooms having en-suites facilities. There are 2 lounges and dining room with additional quiet areas upstairs and downstairs. There is a large garden to the front of the building and an enclosed courtyard where residents can enjoy the outside safely. Visitors are welcomed with a panad (cup of tea) and can sit in our quieter areas or join in the fun that is happening that day. Visitors are even welcome to come and have dinner with their loved one. 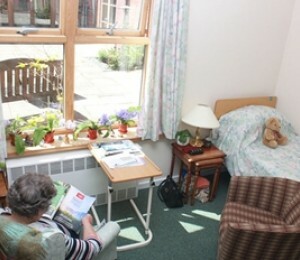 The aim of Cartrefle is to offer a friendly and homely environment to meet our resident’s needs. We offer a person-centered approach to each person’s care. We aim to cater for their interests by holding various activities from special 121 sessions, themed days, trips out and even have people visiting from the local choir to the local Zoo. We are proud of our reputation for providing excellent award winning home cooking in a friendly and accommodating manner.